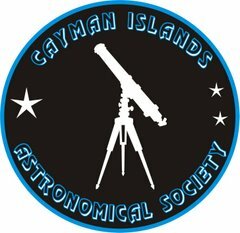 The next "Star Watch" meeting of the Cayman Islands Astronomical Society will be on Sunday 26th of October starting at 6:30 PM onwards at Pedro's Castle , Savannah. Ring (not text) 925 7657 at 6:00 PM if in doubt. On arrival please dip headlights and do not park on the grass. If you are a large group please park outside and walk to the main lawn area. There is no charge for the occasional visitor but donations or membership of the Society for a modest 25 CI is encouraged. Two items of news to briefly mention. In the news for THIS Sunday night 19th October is Comet Siding Springs which has a close encounter with Mars. For those who happen to be ON Mars at the moment (!!!) the comet will be spectacular - although from Earth is going to be pretty faint (large telescope required) but relatively easy to find as Mars is now setting in the West after Sunset. I could write a book of famous people I almost met - but I did work briefly in my career with Rob McNaught who first spotted the comet at the Siding Springs Observatory. He has discovered over 80 comets over the years but suspect the dreaded world-wide "Government Cutbacks" are affecting any future tally he will have! Also I'm not expecting this to arrive before THIS Sunday but the Societies new 12 inch telescope might just make it for the next Pedros' meeting. When the scope arrives and is "tested" (in Astronomical terms this is known as "First Light") I can see a Members Only meeting here with wine and pizza perhaps?